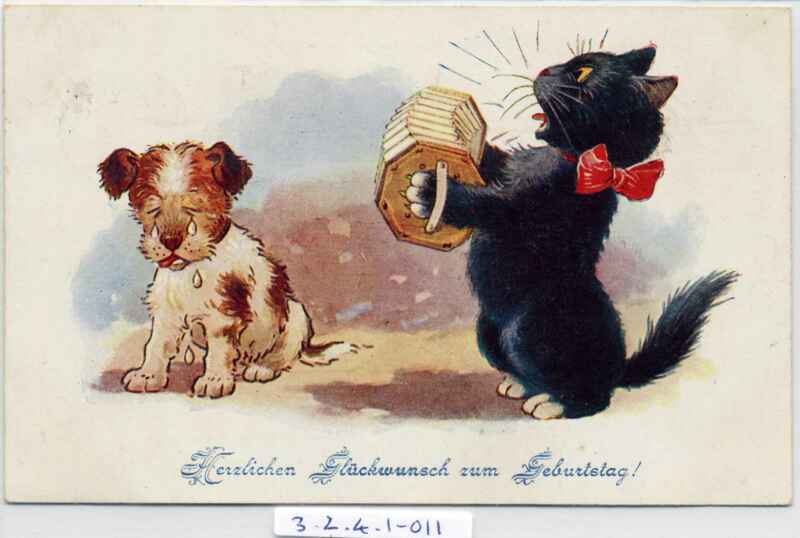 Full Description: A German colour cartoon post card (same image as Item 3.2.3-003 and -004 ), with German Happy Birthday greeting. Pub: “A R & Co. B 1509.4”. Posted 19 Dec 1926 from Dresden.